We Come Alive Covers Project! Here is something amazing! Allow me to unveil the first instalment of the We Come Alive Covers Project. Please show your support by sharing these and checking out more material by the artists involved. And this Sunday it is the 10th We Come Alive show at The Harrison, Kings Cross with Laish (full band show – 6 piece electric new songs yeah! ), Scarlet Starlings and Nuala Honan. It is going to be amazing, and a few tickets still remain here. As a little treat, everyone who attends the show on Sunday will get a unique access code to hear all the 13 available songs exclusively before anyone else. It’s been a busy year with a lot of shows and festivals in UK, Switzerland and Italy (back in Italy, Jan 2016), running a new music night called We Come Alive, and also preparing tracks for a new full band Laish album. Perhaps equally excitingly I have spent the last ten minutes knocking up this little poster to let you know about the London shows happening in the next few weeks. 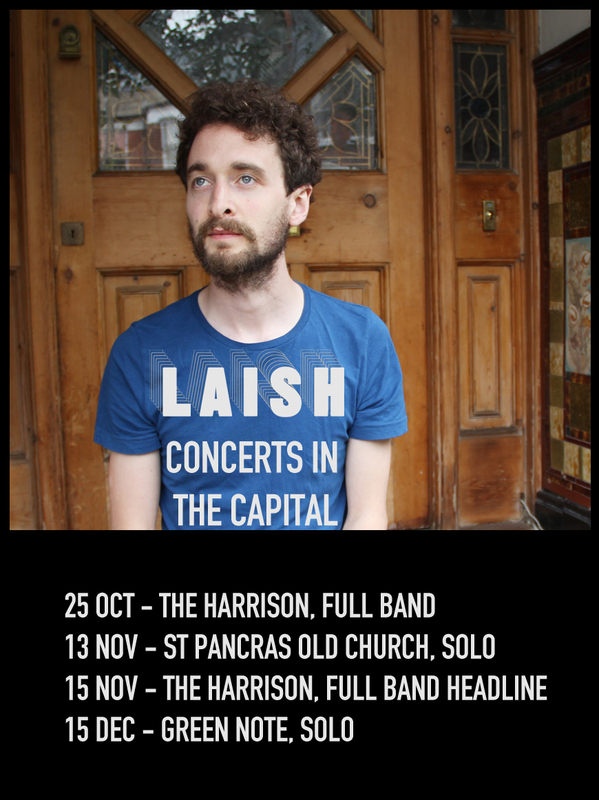 For all those people in other, calmer parts of the world, or who prefer to keep me at arm’s length, here is that Laish Union Chapel show in full. I am very excited to be playing with a band again. It has taken shape over the last year or so, and I am grateful to be sharing my music with such wonderful musicians. You’ll have to get down to The Harrison at one of the below, to check us out. One last date for your diary – Sun 18 October, the next We Come Alive show features some excellent musical friends, female fronted joyous indie pop from The Graphite Set, songwriter extraordinaire Andrew Butler and one extra special guest I can’t announce but who is achingly brilliant. Details and tickets. Until the next time, where I trust the news will be less London-centric. 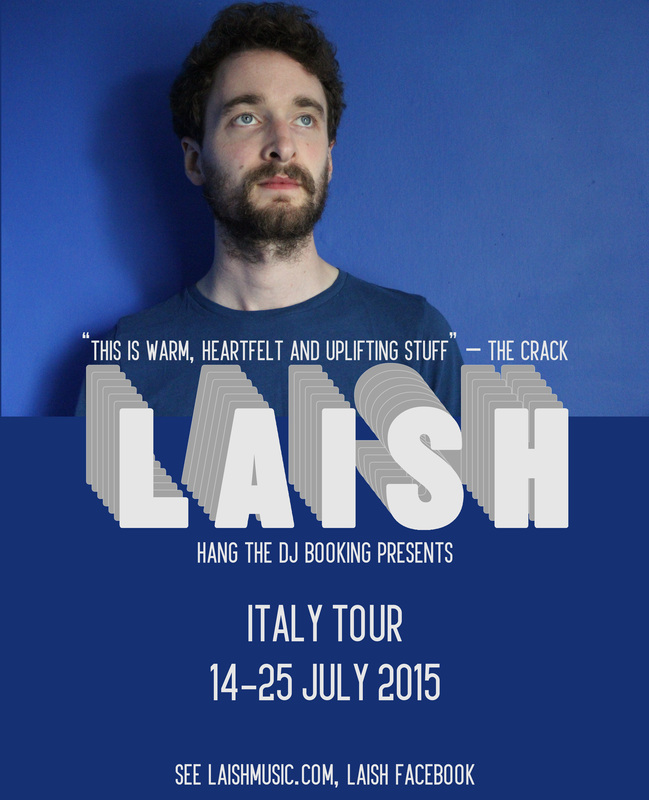 Laish back catalogue is here. So the good news is, the second half of July will be spent navigating the hot paths of Italy. I will be armed with an acoustic guitar, a box of cds, and hopefully enough clean shirts to keep me fragrant. I am very excited! As well as my proper albums, I will be carrying 50 copies of a CDR album called ‘Discarded Miscellany’, containing demos, covers and unheard songs which won’t make my new official Laish album. 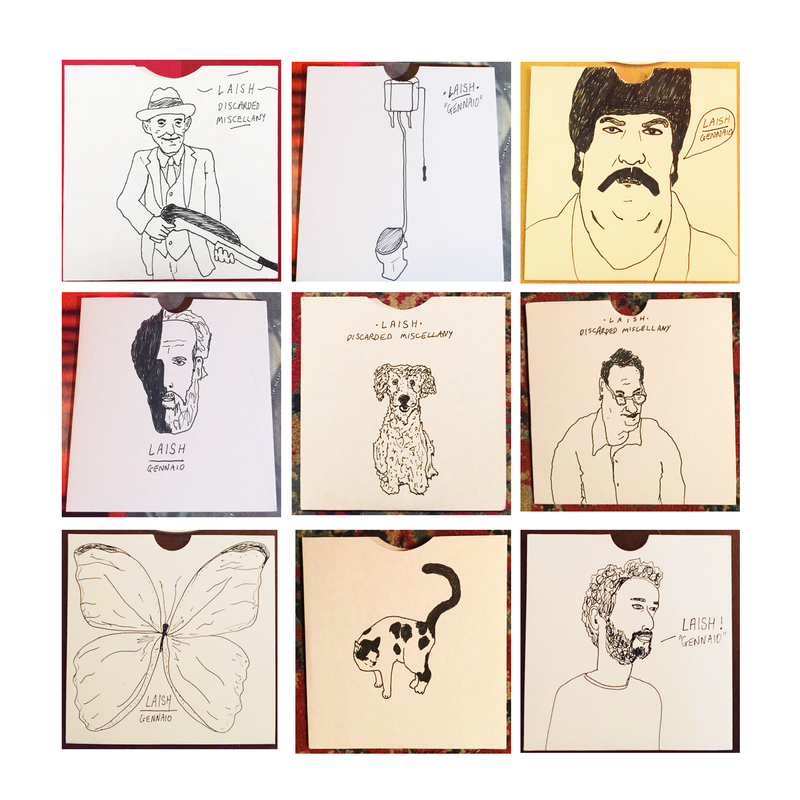 Each copy will have an individually hand drawn and signed cardboard sleeve which I will make while travelling on the trains between the shows. These are strictly limited to 50 copies and will only be available on this Italian tour, so you know what you have to do. Be in Italy. All dates booked by Hang The DJ booking. And if that bombshell wasn’t enough, then here is Pace of Life, a song produced this week, made specially for this Italian adventure, available to buy/stream now. It is like a slow philosophical meditation on my increasingly fast way of life in the capital city. The melody got stuck in my head so I had to capture it as quickly as possible.